Our dogs Abby and Willow love to be sleep in our living room, especially the couch. While I normally don’t mind them sleeping on the couch, I’d prefer if they slept in their own bed. 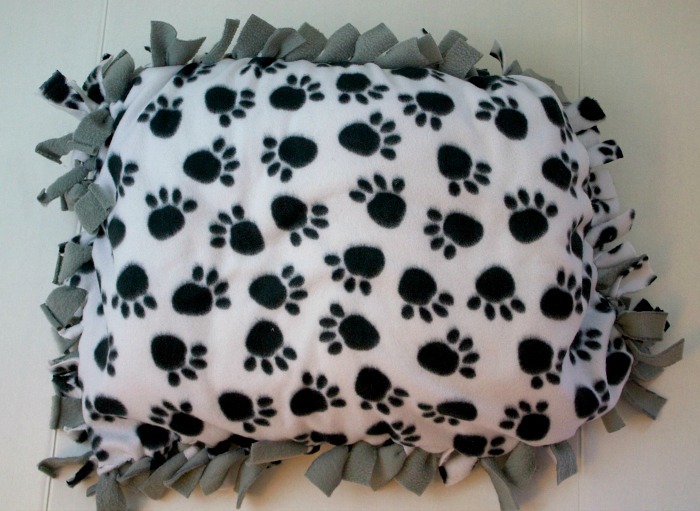 So to help them get a little more excited about their transition I’ve decided to make them their very own dog bed. I’ll have to be honest with you. 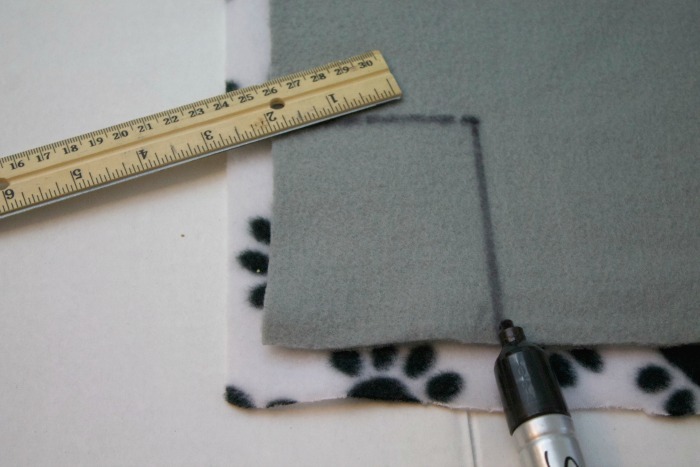 I don’t know how to sew so this is going to be a very easy no sew dog bed that anyone can do. All you need to know how to do it tie a knot. It’s that easy. 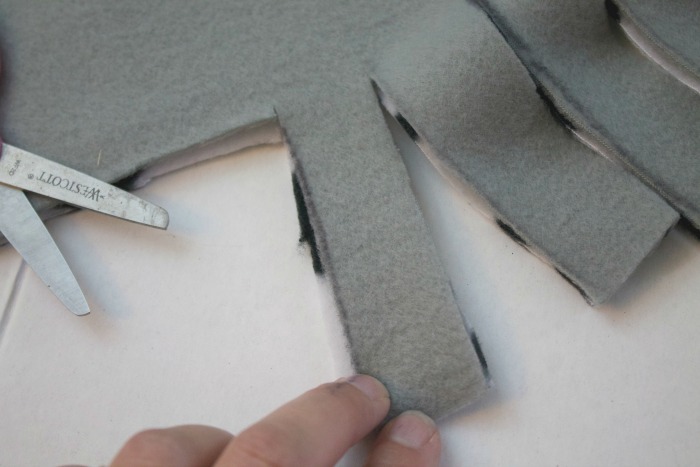 When you pick up your fabric have the store cut your fabric for you. 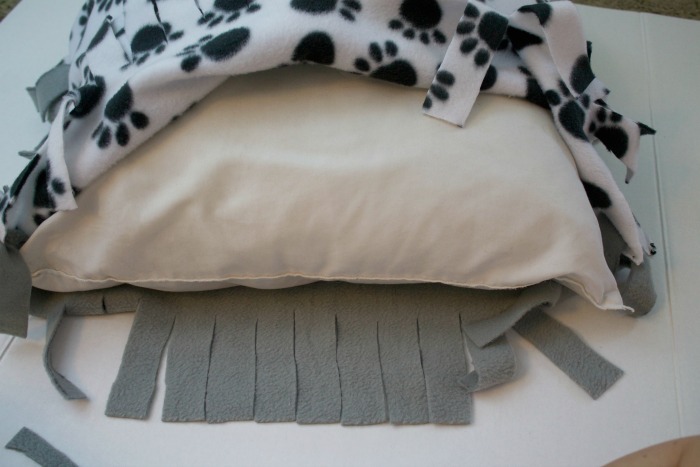 You’ll need two sides to the dog bed each being around 1 yard a piece for a small dog bed. If you’re making a bigger bed, get more material. 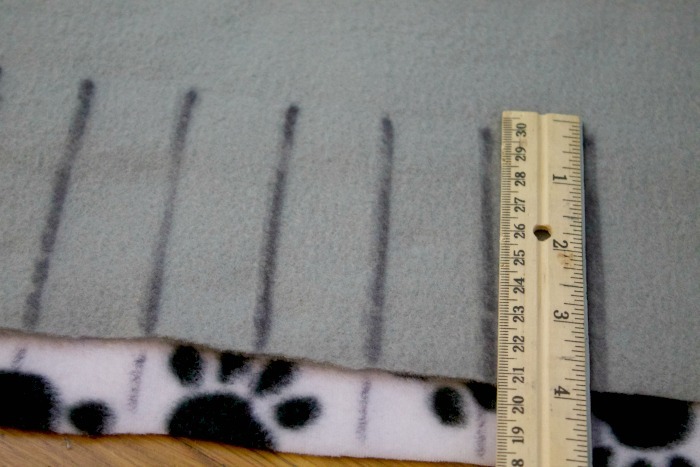 Cut out a 5″ square out of the corners out of each of your fleece pieces. 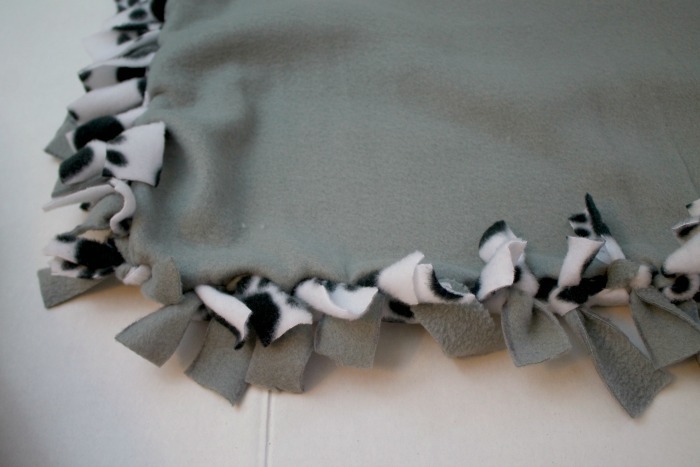 Lay the two pieces of fleece together, matching it up as much as you can. Knot the fringes around all 3 sides of the material. Leave one side open. Stuff a pillow into the side of the fleece that’s opened. Knot all of the remaining fringes. Give to your dog and they will love it! As you can tell our family really love our dogs. Any chance we can show them how much we love them, we do it. 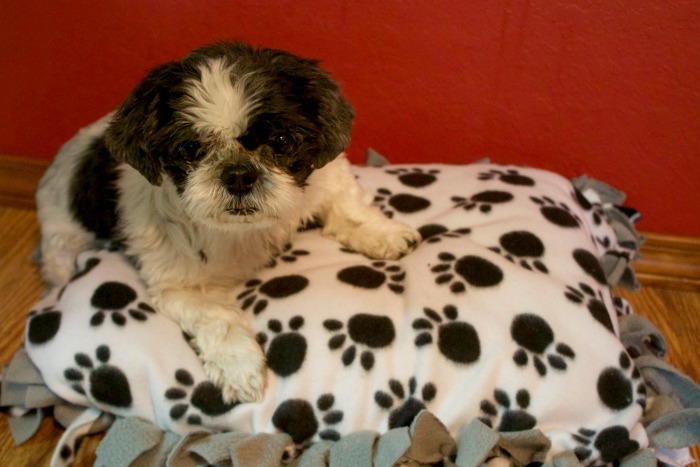 In addition to giving them fun things like the no sew dog bed I also try and give them to food that they’ll love and that I feel good about giving to them. 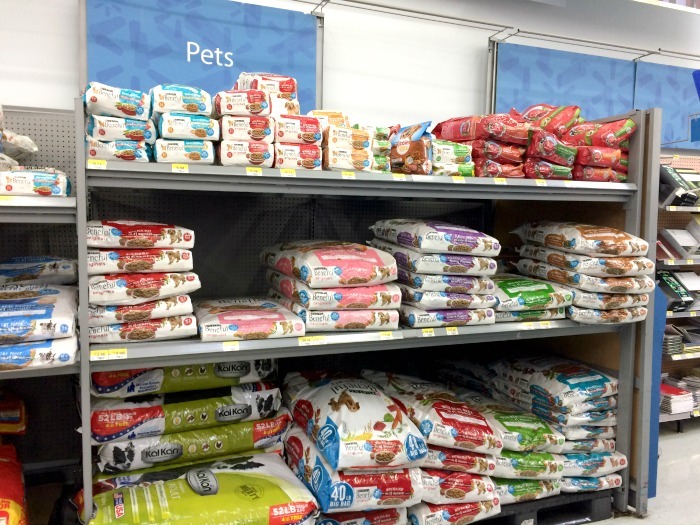 One of the main ingredients I look for when choosing a dog food is real meat. 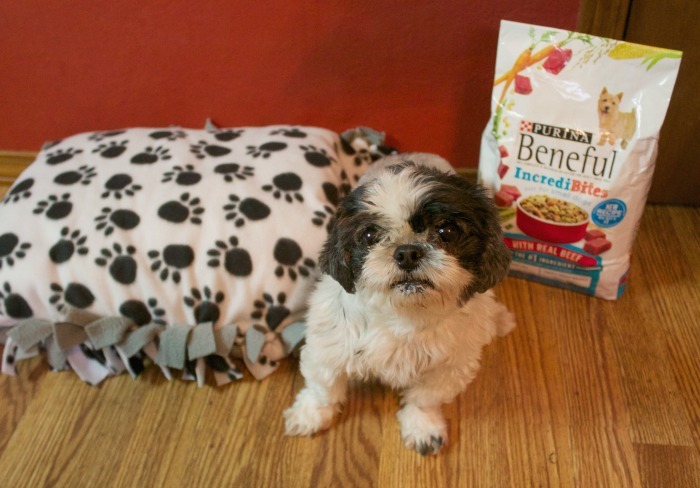 Beneful dry dog food is one of their favorite foods and now it’s better than ever! They have reformulated Originals and IncrediBites ranges, and now feature meat as the #1 ingredient and no sugar added. And don’t worry, Beneful recipes still offer the same great taste and texture that our dogs know and love. That’s something that all pet owners can feel good about. Beneful is widely available at mass and grocery retailers including Target, Walmart and Regional Grocers like Kroger and Albertsons. I picked up a bag at my local Walmart in the pet section. I’ve shared with you a little about my dogs know it’s your turn! Tell me more about your pets and then sign up for a free sample of Beneful for your dogs.